Space technology has allowed the nation of India to move into the world of high technology, a place previously occupied only by more-developed nations. Indian space programme began in 1962 by the setting up of Indian National Committee for Space Research (INCOSPAR). The space program concentrated on achieving self reliance and developing capability to build and launch communication satellites for television broadcast, telecommunications and meteorological applications; remote sensing satellites for management of natural resources. In recent years, India has concentrated much of its space development work on complex applications satellites and more powerful rockets. The nation's two main interests are satellites for remote sensing and communications -- used for weather pictures, disaster warnings and feeds to 552 television and 164 radio stations on the ground. Vikram Ambalal Sarabhai founded India 's space program after envisioning Indian satellites that could provide communications, meteorology, remote sensing, and direct-to-home television broadcasting. He founded the Physical Research Laboratory, the Space Science Research Institute, the Department of Space, and the Indian Space Research Organization (ISRO). 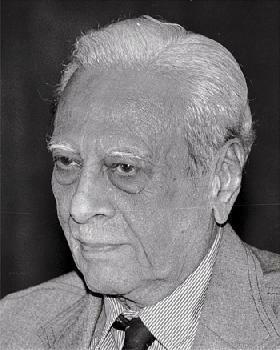 In 1962, Sarabhai organized space research as chairman of Indian National Committee for Space Research (INCOSPAR). He set up of the Thumba Equatorial Rocket Launching Station and began manufacturing sounding rockets in India . He drew up plans to transmit education to remote villages across India with the Satellite Instructional Television Experiment (SITE). 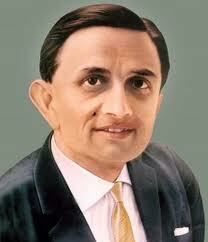 After Sarabhai died in 1971, the Vikram Sarabhai Space Center (VSSC) in Tiruvananthapuram is named for him. Another early developer of India 's space program was Satish Dhawan. He was the longest serving director of the Indian Institute of Science when he died in 2002. Prime Minister Indira Gandhi asked him to head the nation's space program. When the space scientist and former chairman of ISRO died, Indian President, K. R. Narayanan said, "India's space programmes owe to a great extent its spectacular growth and high level of maturity to the stewardship and visionary leadership of Prof. Dhawan."